Last week, we shared the below video on Instagram Stories, walking you through how to get Who What Wear–worthy photos every time. Since this was one of our top-viewed stories and we received such great feedback, we wanted the tips to live here on the site as well. The video provides four simple steps to keep in mind when crafting a photo. One of the tips is “perfect your pose,” and within that tip, we shared three things to keep in mind when in front of the camera (watch the 60-second video below to find out). The most DM’ed question from this story was which app we used to edit the photo. Drumroll, please: Snapseed is the photo-enhancing tool shown below in step four. And our second most DM’ed question was about my sweater (shop it below!). Whether this is your first time watching the video or you’re back to save each helpful tip, be sure to give these tricks a try the next time you post on Instagram, and don’t forget to share your photos using #WhoWhatWearing. Watch the clip below to find out the easy steps that will majorly improve your next photo. Available in sizes 28 to 31. 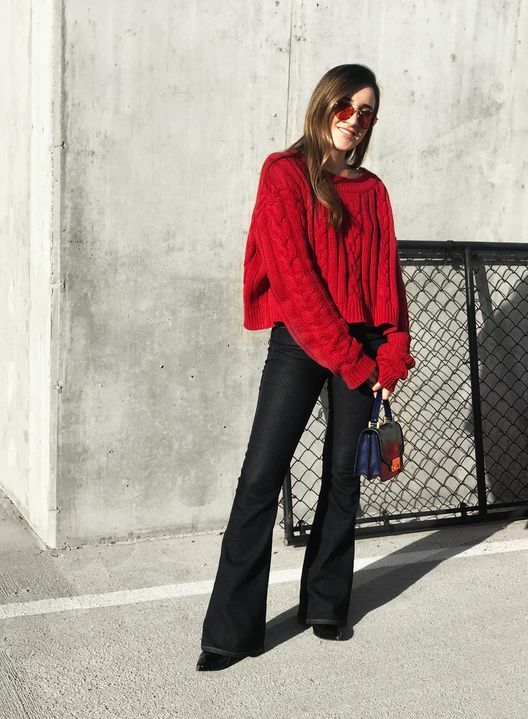 Shop the items fashion girls are buying from Revolve right now.